[prMac.com] Denver, Colorado - St. Clair Software is happy to release version 5.2.2 of Default Folder X today. This update of its award-winning utility for enhancing Open and Save dialogs delivers improved performance, new AppleScript commands and user interface improvements. It also addresses several reliability issues. 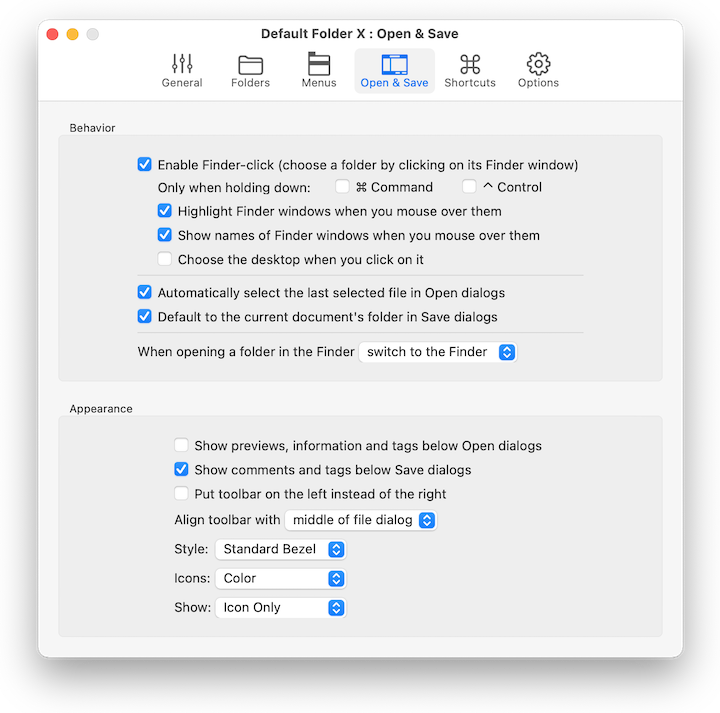 Default Folder X 5.2.2 is a free update for existing version 5 users. New licenses are $34.95 (USD) and upgrades from version 4 and prior are $14.95. Please see the St. Clair Software web site for screenshots, a full change log, and additional feature information. St. Clair Software strongly recommends that anyone using Default Folder X install this update.